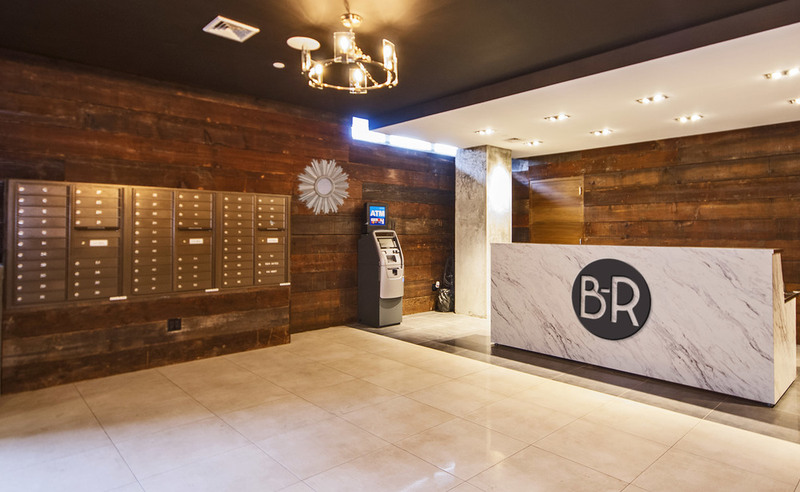 Behind the lobby fireplace lies the home of The Brooklyn-Roosevelt's Café, where you'll be able pull a shot of joe to start your day or just get a boost whenever you need it, complements of the Brooklyn-Roosevelt. Our Coffea Technologies NEXT can make you nearly any kind of coffee beverage at the touch of a screen. And yep, we have tea, too. 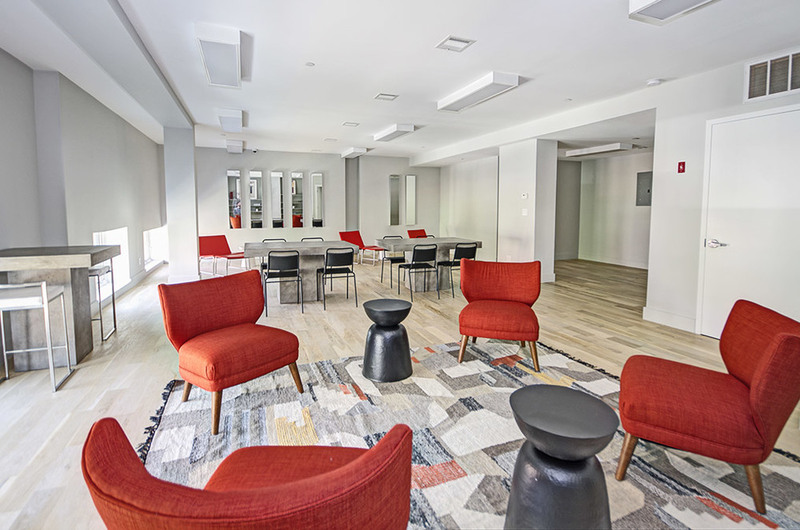 Our comfortable communal working space located on the third floor is a designated quiet zone with plenty of lounge chairs, tables and stools paired with fast Wi-Fi and copious outlets. Grab your laptop and a complimentary coffee and make it happen. Ellipticals, treadmills, benches, free weights, mats, heavy balls...the list goes on. You're completely out of excuses to get or stay fit. Professionally maintained and available to use 24 hours a day. The 100+ year old master vault of this former bank is now your bicycles home away from the streets. There's also plenty of extra racks for your ride located throughout the basement. And just like a bank, security is tight. All bike parking areas are under 24-hour camera surveillance. 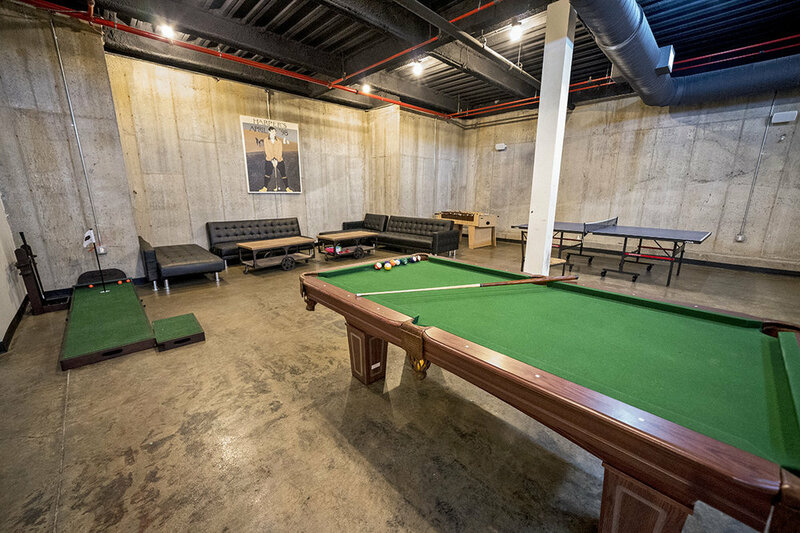 (1024 Gates Avenue Residents only) Our professional rotation of door men and women are always there to accept your packages, hold your items for pickup, put your delivered groceries in our lobby cold room or simply greet your guests. 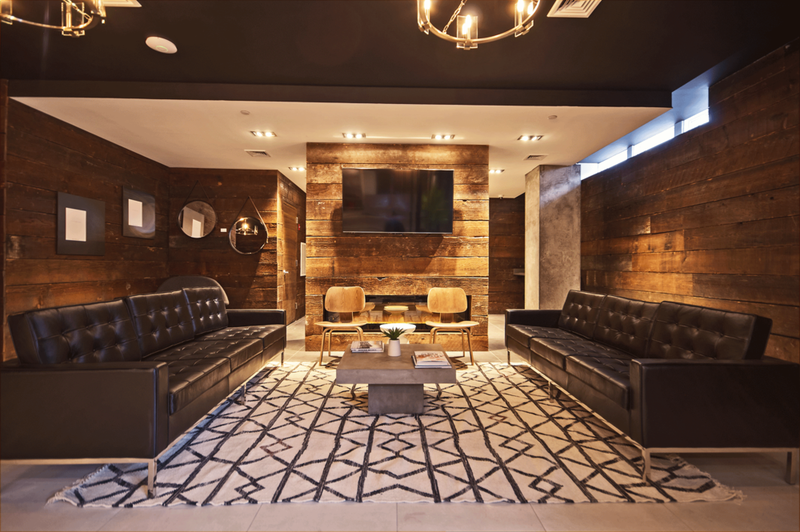 Additionally, our lobby ATM will keep you in cash whenever you need it. Dedicated On-Site parking spaces are available for price of only $250/month. Indoor and outdoor parking spaces are subject to availability.